Today was a great day, I had the honour of hanging out with the guys from Mercury Motorsport and to document a day of testing for this years World Time Attack which is only just over a week away, how scary! 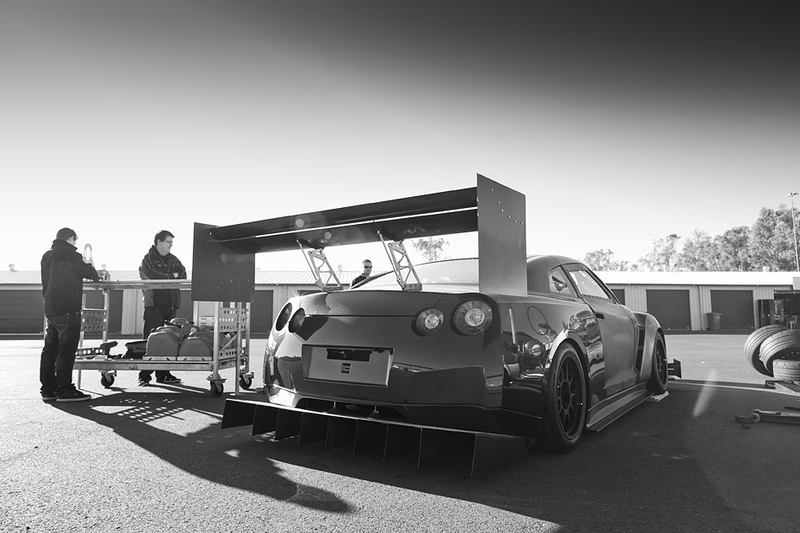 The R35 GT-R is currently on a safe tune at 500 KW at all 4 wheels, pure aggression. The only thing I could relate to seeing this machine on the track was a GT500 car, to me that’s impressive! 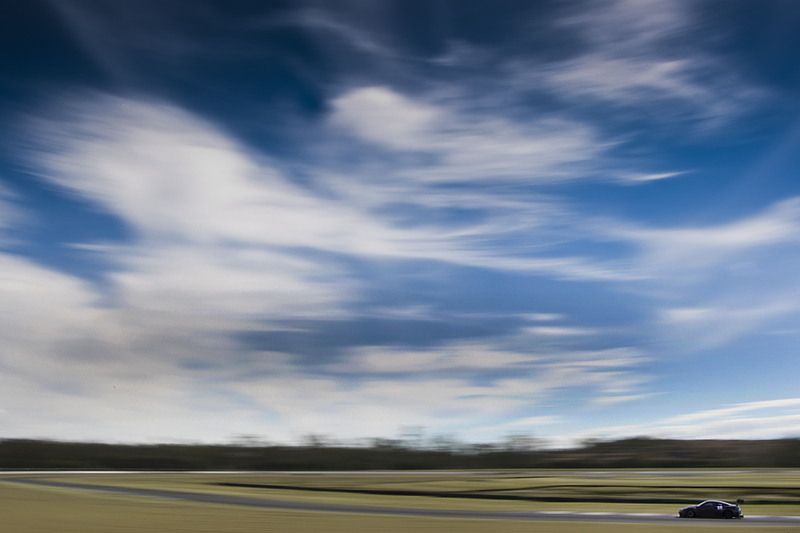 Tomorrow I will be covering the Annual Nissan and AWD Time Attack shootout, stay tuned for articles on Speedhunters. 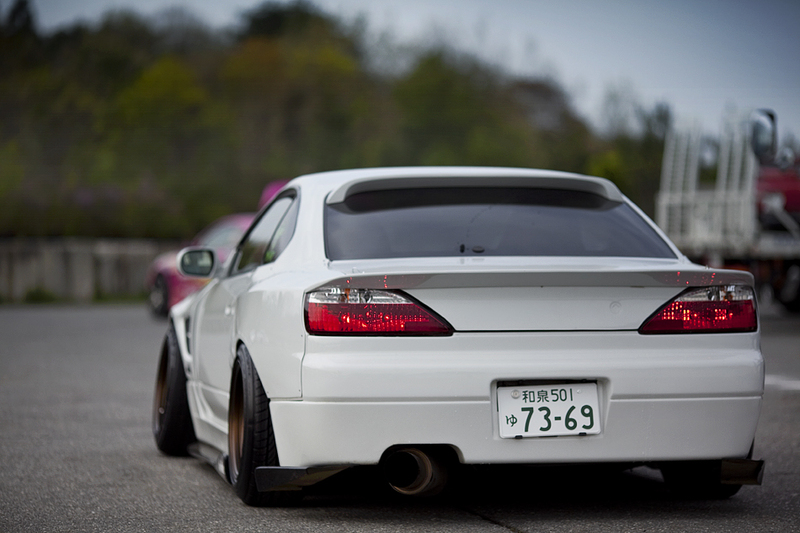 I thought now would be a good time to post this rear shot of the Supermade S15 just because it’s Friday and everyone has more of a reason to smile. 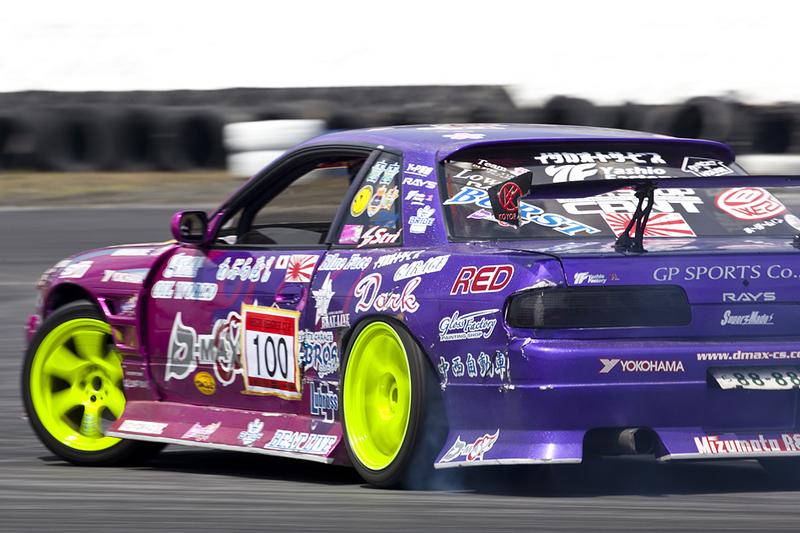 This is one of those cars that you will glance at forever on the internet, but for some, like me I was fortunate enough to not only see this S15 but to meet the man behind it all, Takanori Yoshida from Supermade. 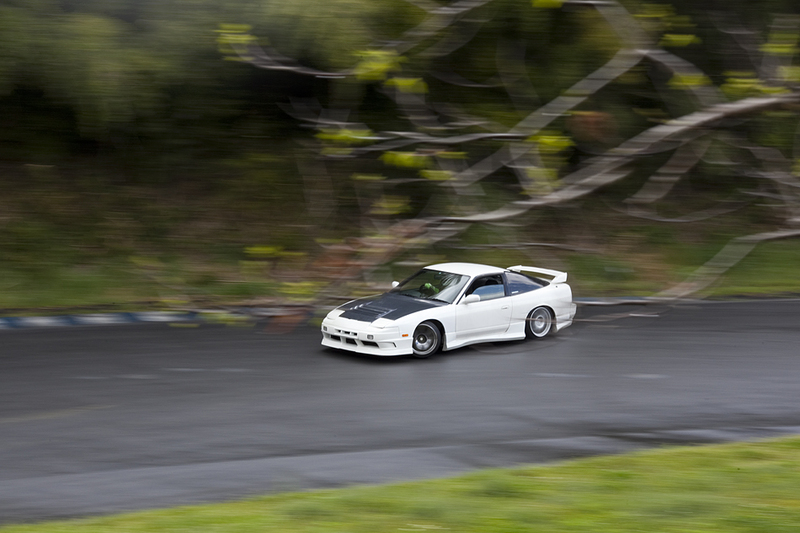 I’m really looking forward to releasing the features with Dino on the S15 and the Gloria, stay tuned. A few weeks prior to my Japan trip back in April, Dino from Speedhunters.com traveled down to southern region of Japan and shot the annual Nagoya Car Showdown which showcases amazing cars, each and every year. One of the cars that caught my eye in his posts was this little Roadster from NUMBERSIXCUSTOMS. Little did I know it was attending our Meihan day until I saw it roll in on the back of a truck and unload. I watched the driver unpack his belongings and get organised for the day whilst shooting many frames off, it’s definitely one of the better looking MX-5’s I’ve seen. 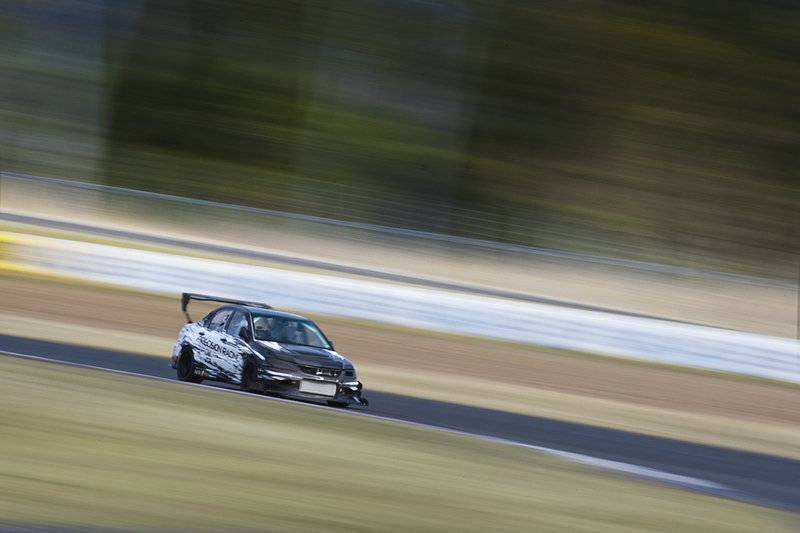 Just when you thought this blog was all about drifting in Japan… By now, I’m sure the majority of you would know that the 2011 World Time Attack Challenge is just over 2 weeks away, 15 days to be precise. I thought I would whip out the external hdd and go through some images from the 2010 event which was crowned the best event throughout the entire year. Being only a few weeks out from such a big event, we’re constantly chasing and organising things almost every day and I have to say, I’m getting more and more excited every day. 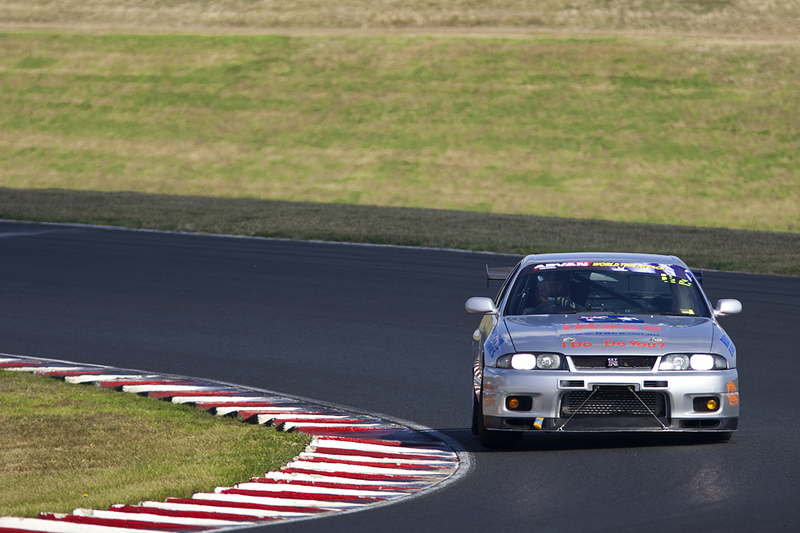 This year will showcase the fastest Time Attack cars on the planet such as: Cyber EVO, Sierra Sierra EVO, Scorch Racing S15, The 53.6 second @ Tsukuba – Garage Revolution RX-7, Hi Octane R34 GT-R, Panspeed RX-7 and some tough Australian R35 GT-R’s. 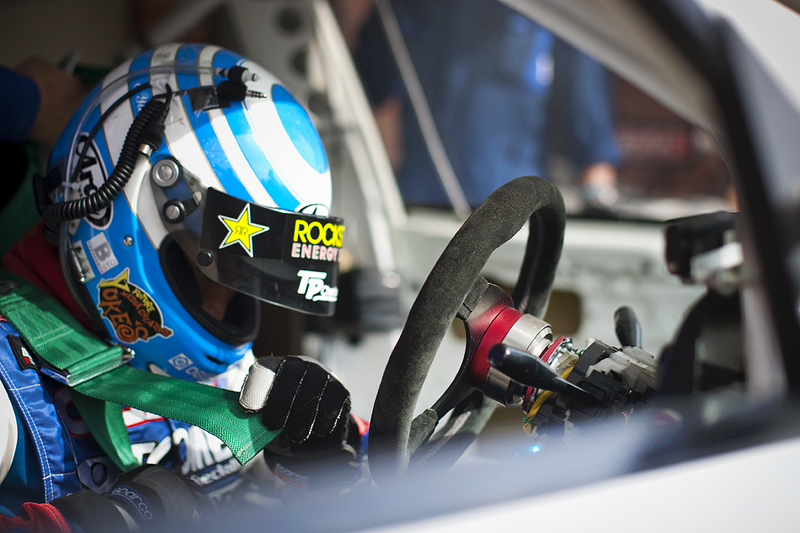 Sadly, the Cusco / Tomei WRX will not be competing this year, however the infamous Tarzan Yamada will be. I will be flying into Sydney on the 1st of August with Matthew Malcolm to meet Mr. Kha and Mr. Carbonare, the Team NFS crew for this years WTAC. It’s not only the Experct Class I look forward to spectating and shooting but also the lower classes, it’s always good to see the comparison on the field between the classes. …which of course will once again be piloted by the one and only Tarzan Yamada. 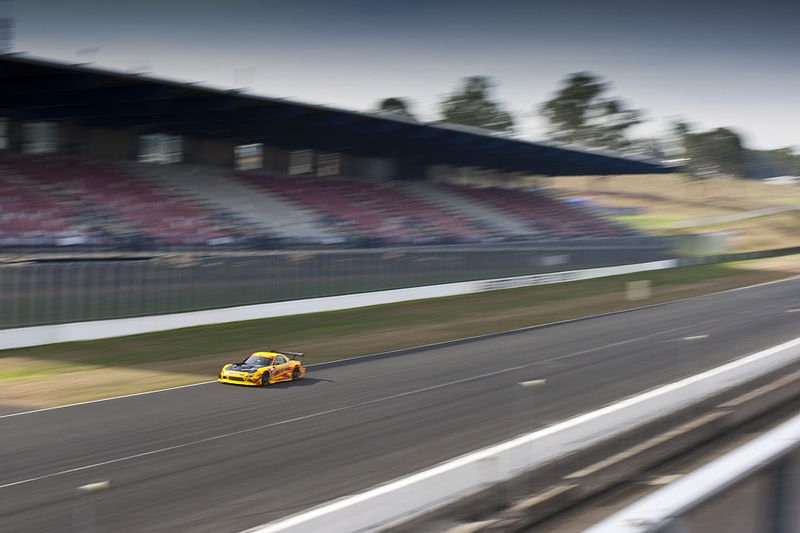 Another Japanese driver that will be back in action at Eastern Creek is of course Kouta Sasaki – the driver of the vibrant yellow Panspeed FD3S RX-7 which I’m sure will lay down some very firm times this year. With only 15 days to go I’m sure everyone involved in such a big event is starting to feel the pressure on their shoulders, whether you’re building cars or just heading down to shoot the event, I sure am getting very excited, and a little nervous for that matter. 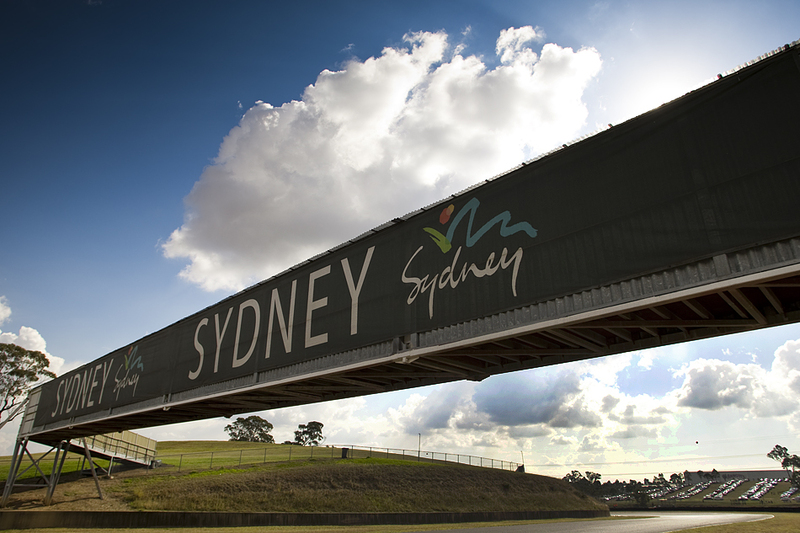 I’m sure thousands of people will be jumping on flights internationally and landing in the gorgeous city of Sydney on route for Eastern Creek, I really can’t wait! 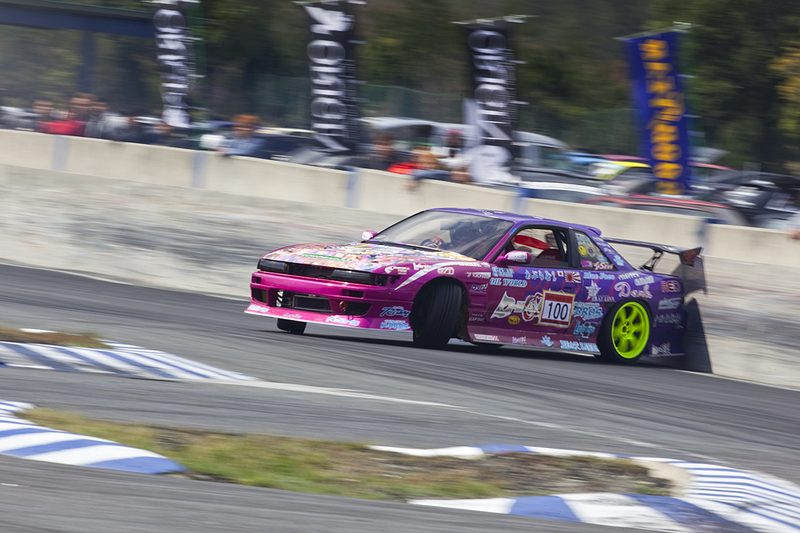 For constant updates from now until the event be sure to check out World Time Attack. During my time in Shinsaibashi, Osaka we came across some amazing cars along the main road through the city. 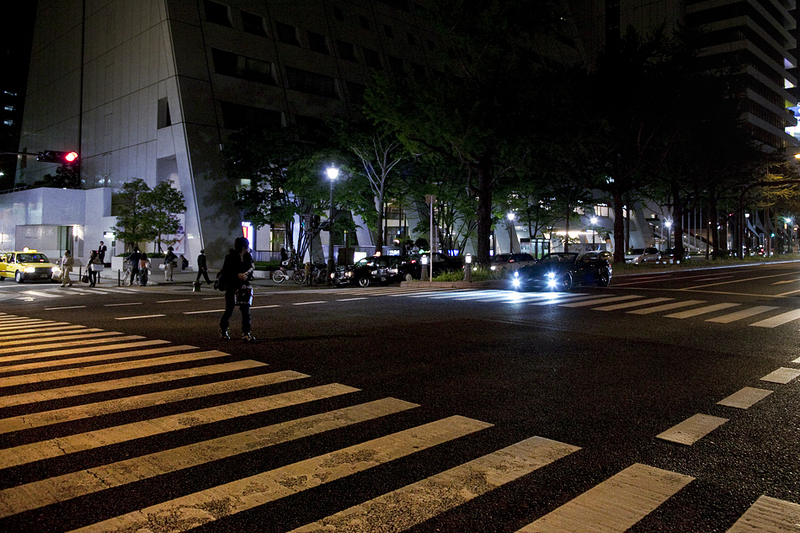 Here is a shot of a BMW M6 Coupe convertible with a lady crossing the road starring at it. It was lowered on some huge black wheels and had an unbelievably good note to it. This photo says quite a bit for me, as a matter in fact it reminds me of a car advert, a lady starring into the eyes of a new, aggressive BMW wondering what it’d be like to own one, except the quality would sure be a lot better on an ad that’s for sure. With all the positive feedback from this C33 I thought I’d start getting some images up of this one at the first Meihan day we attended. This pink machine was sitting on a big set of 15″ SSR Mesh, the offset unknown but looked seriously tough hanging under the bolt on overfenders. The car had also had an engine transplant from an RB to a SR which totally blew me away when I saw it hit the track. I will try and get some video footage up. Witnessing this car for the first time when I was 18 back in November 2010 at the final round of D1-SL at Tsukuba 1000 was mind blowing. The amount of media that travels around the internet of this one specific fellow and his car is incredible so here I am giving my 2 cents. These photos were taken at the first Meihan day we attended which was held by Kazuya Bai from B-West / Origin. The day consisted of many famous drivers including the D1-SL division so it was awesome to see them go as hard as they possibly could on such a small and tight circuit. Seeing Nakamura blaze around the left-hander onto the straight in the top of 3rd maintaining loss of traction whilst steering into the cement wall and transitioning the complete opposite way causing his moulded wing to sit flush on the wall was absolutely incredible. Here you can see not only the rear spoiler but the exhaust both have evidence of riding along the wall of Meihan. One thing that gets me about this car is the colour combination, pink and purple with the touch of fluorescent yellow 57d’s. 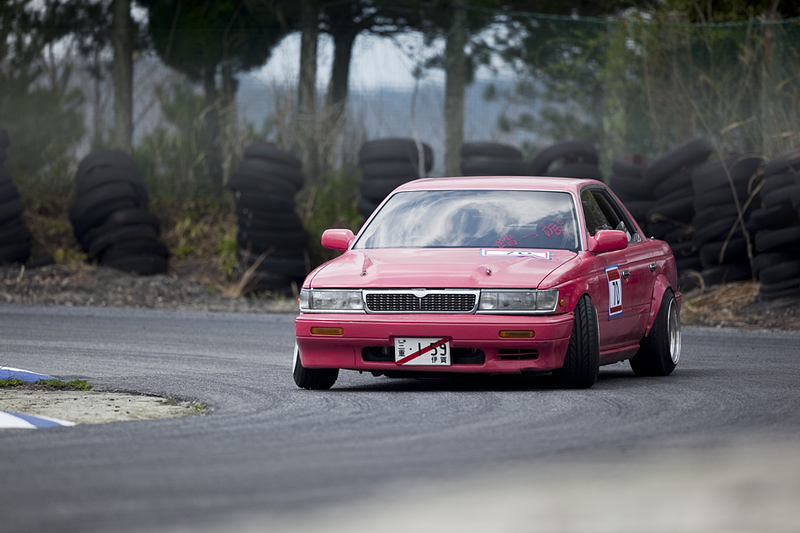 It’s just so Nakamura and has definitely had a big impact on drifters all over the globe. I’d also like to bring up another point, a little off subject of Nakamura but more towards my images in general. As you know I don’t watermark my photos, this doesn’t mean they aren’t copyright, because they are. If you’d like to use any of my images for any use whatsoever please don’t hesitate to drop me an email at: Casey@shirtstuckedin.com and I’m sure we can sort something out. 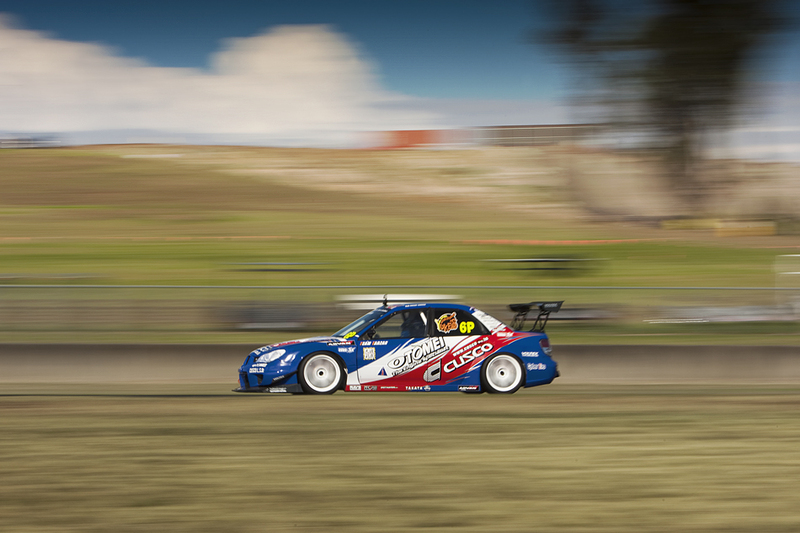 Continuing sorting through more photos from Motorland Suzuka I came across this particular one of TJ Waldon in his HotRoad Type X RPS13, this image could almost sum up why I love the Motorland circuit as much as I do, the surroundings and the amount of trees and natural things you have to work with is absolutely awesome. It took a few attempts to get this photo as the camera had a few focus problems with all the trees in the way, but this is pretty close to what I was aiming for.